Confession time: I clean forgot about Hunter Shiraz. It barely exists in London and wasn’t on my radar when I returned to Melbourne. But then some young blokes set my screen a-bleeping with the news they were coming to Melbourne on an interstate charm offensive. The six-man group, calling themselves Next Generation Hunter Valley, arrived last May. They were armed with buckets of the obligatory Semillon. Young, old, bone- or off-dry, it was great. No surprise there. But what struck me was the way Shiraz, in this Shiraz-soaked land, stood out so handsomely. But let’s leave those straight Shirazes for another day. Many other days, I hope. Because this is about Hunter Shiraz with a twist, born of a happy accident and discovered at that Next Gen HV tasting. Shiraz Mourvèdre – the S and M of GSM blends – is a rare beast in the Hunter. 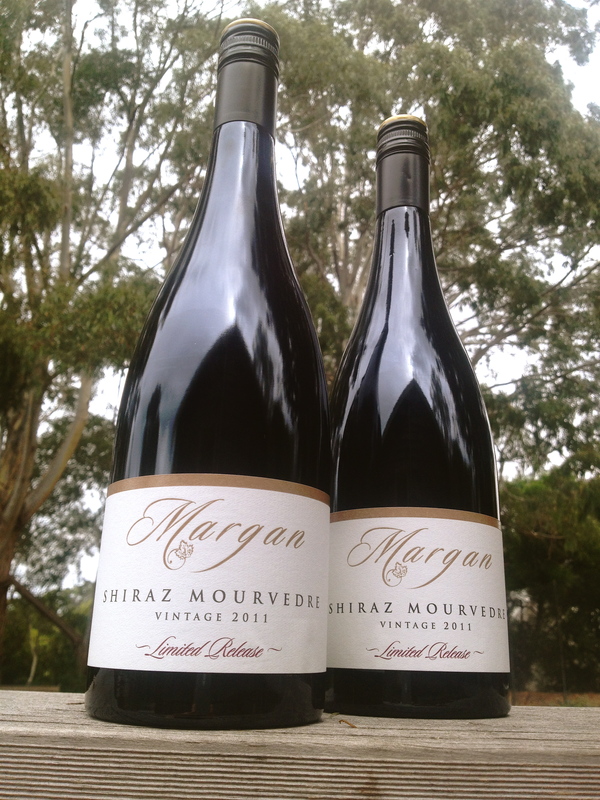 Margan’s version is a field blend made from 40-year-old bush vines grown on the red-clay soils of the Vere vineyard in Broke. When Andrew and wife Lisa took on the vineyard in 1997, the Mourvèdre vines were randomly interplanted with Shiraz and other varieties. The other randoms have since been grafted over to Shiraz, but the small, sweet, thick-skinned Mourvèdre berries, whose vines comprise about 14% of the vineyard, have been picked and co-fermented with the Shiraz ever since. The resulting wine is aged in mainly one-year-old French and American hogsheads for nine to 12 months, though it might see some new oak if the Mourvèdre tannins are really ripe. Mourvèdre buds and ripens late – up to two weeks after Shiraz – so this limited-release bottling is restricted to years when its flavours develop fully. That means picking the Shiraz at a pretty advanced stage too, so the blend is relatively soft and approachable when young. So taken is he that the field blends are going to keep on coming. “I picked Tempranillo, Graciano and Shiraz together this year and have got some other things up my sleeve too,” he says. I look forward to seeing what Margan’s patch of Hunter dirt conjures up. I’ll also be stashing away some of the Shiraz Mourvèdre to enjoy down the track. But first I’d better to get back to basics and plough into some earthy Hunter Shiraz. I’ve got a lot of lost time to make up for. Clear deep ruby with a heady, complex and slightly evolved nose of red, blue and black berries, beetroot, earth, pencil shavings, clove and more. The attack is savoury before sweet plum and briary fruit come tumbling in with a strong undercurrent of earth, spice and vanilla bean. It’s medium bodied, soft and fleshy but neatly framed by ripe, savoury, blackberry-tinged tannins. These lend it a dusty texture and combine with lively acidity to deliver pulsating, berry-charged length. Drink now to 2024. Drink with slow-roasted lamb.